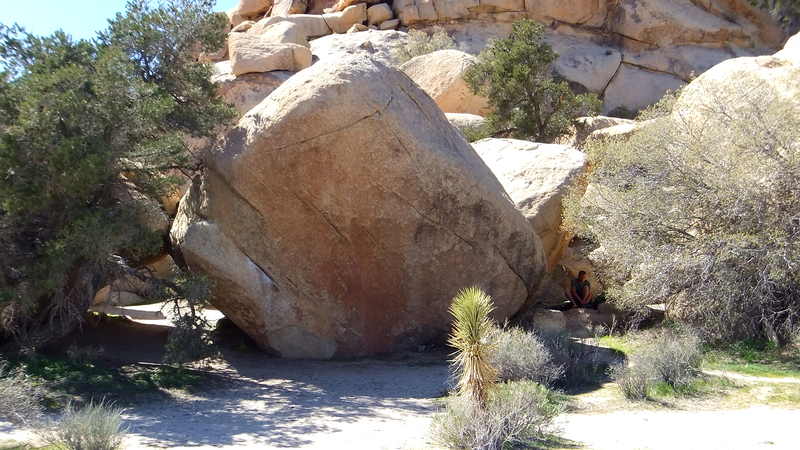 BOULDERING IS THE SPORT OF CLIMBING BOULDERS. 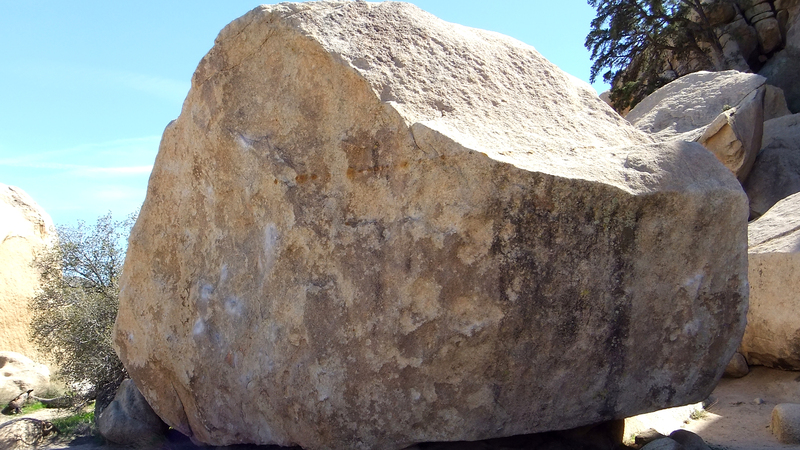 Put that way simplifies the matter. 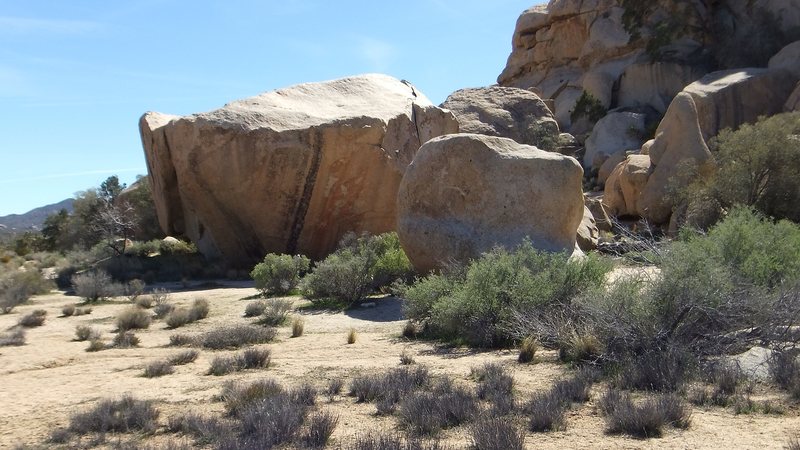 It also separates those who would rather spank a rhinoceros than ascend rocks from those who find the whole idea challenging, exhilarating. 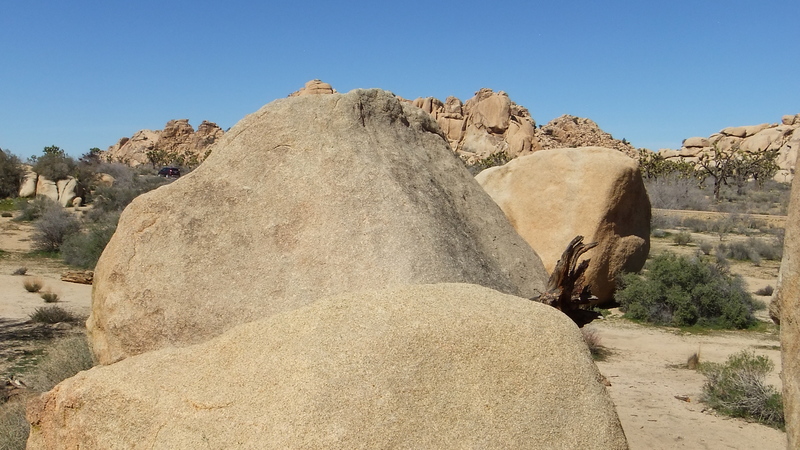 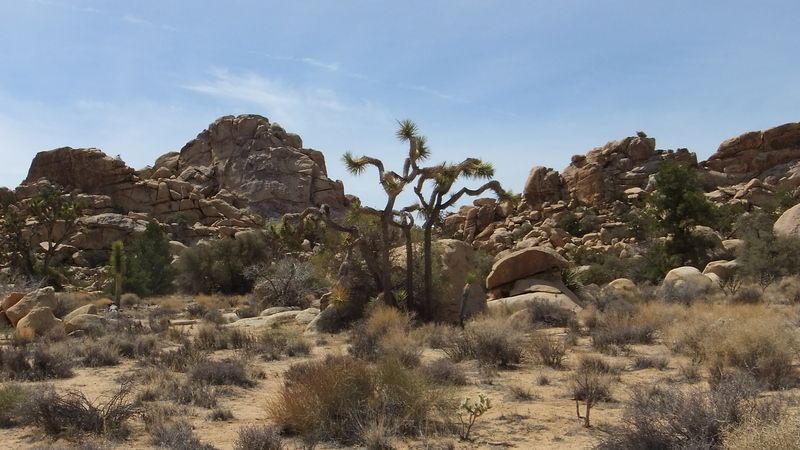 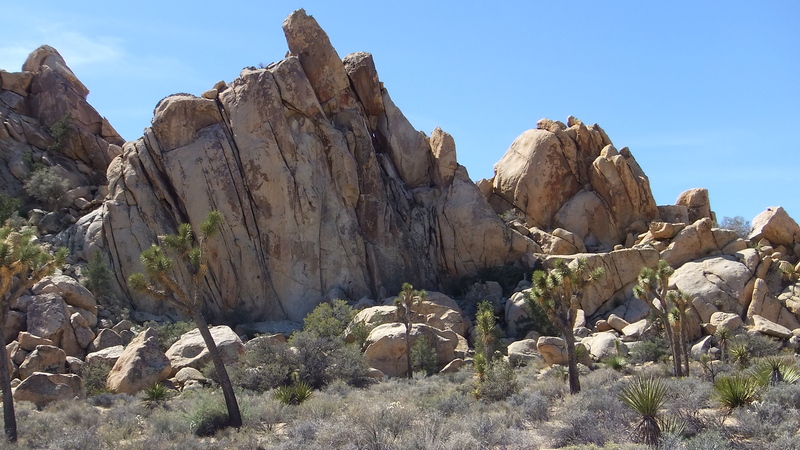 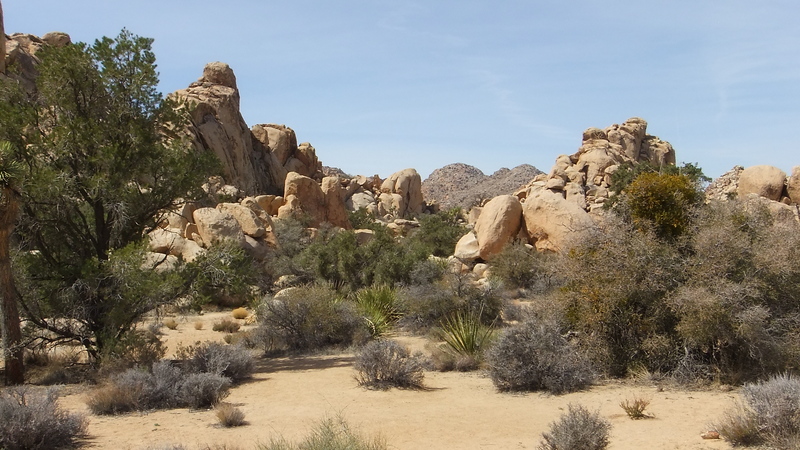 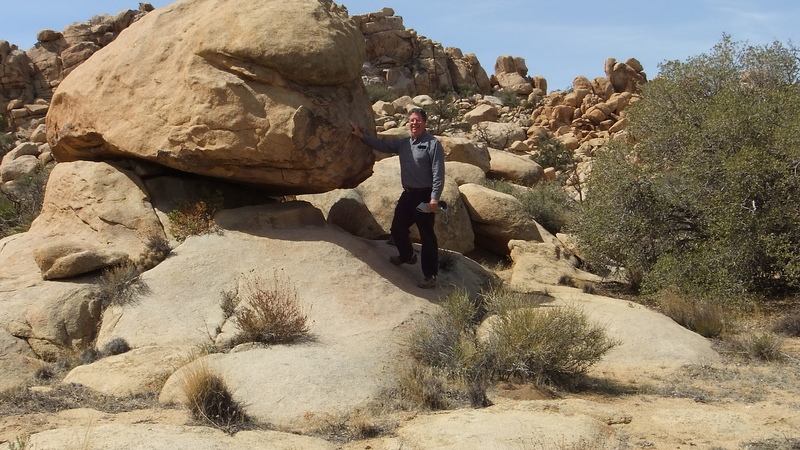 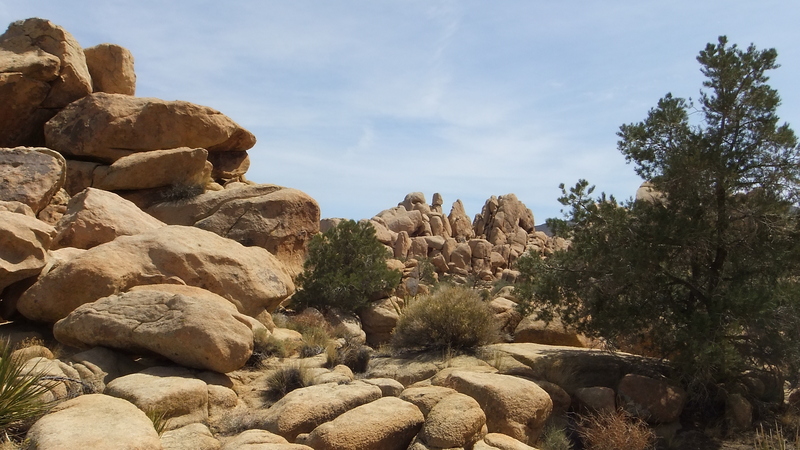 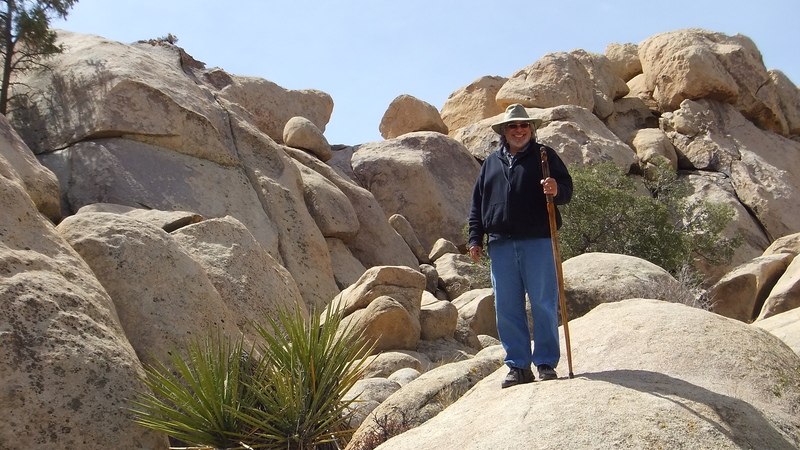 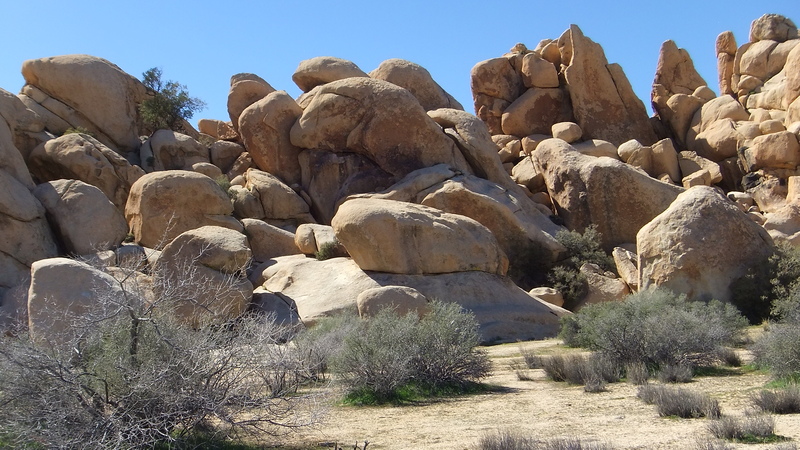 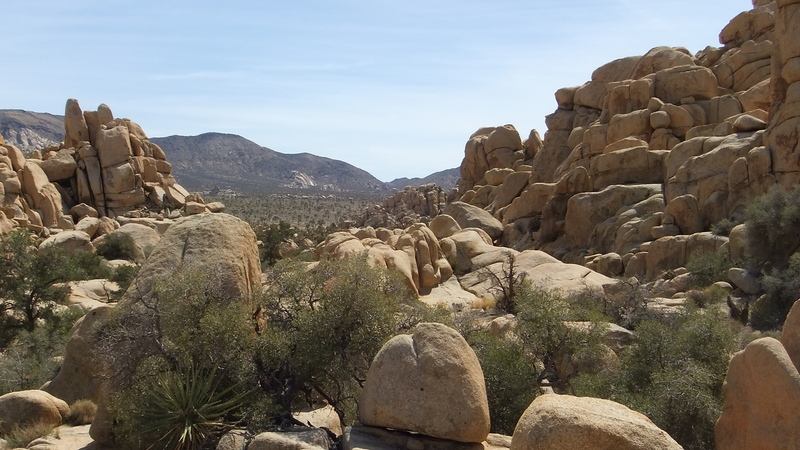 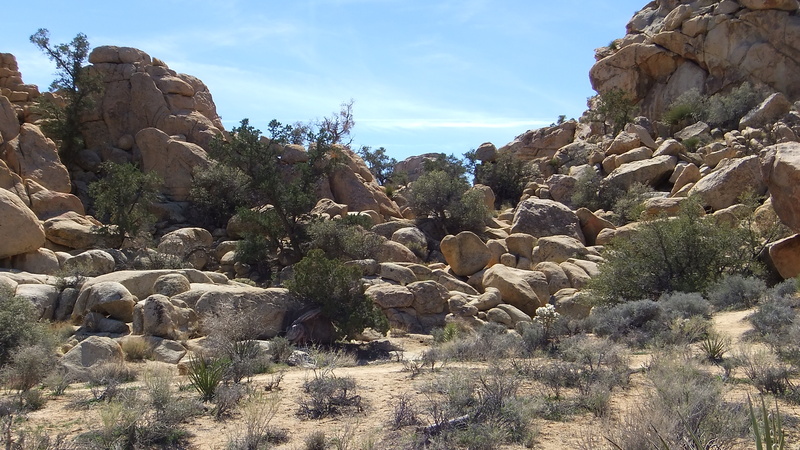 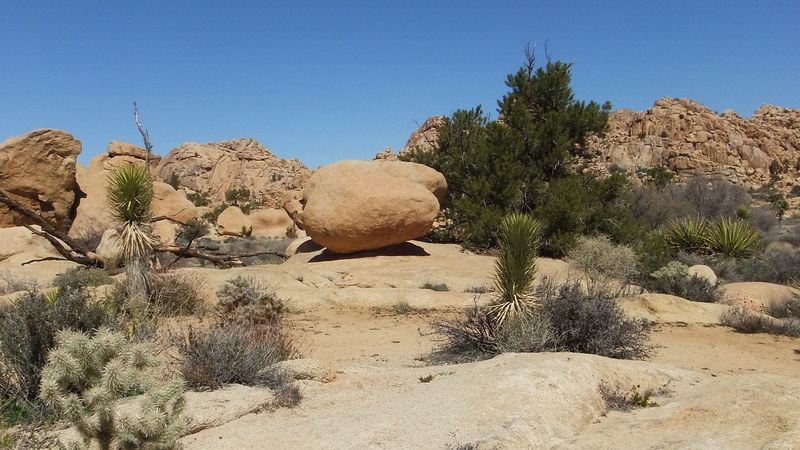 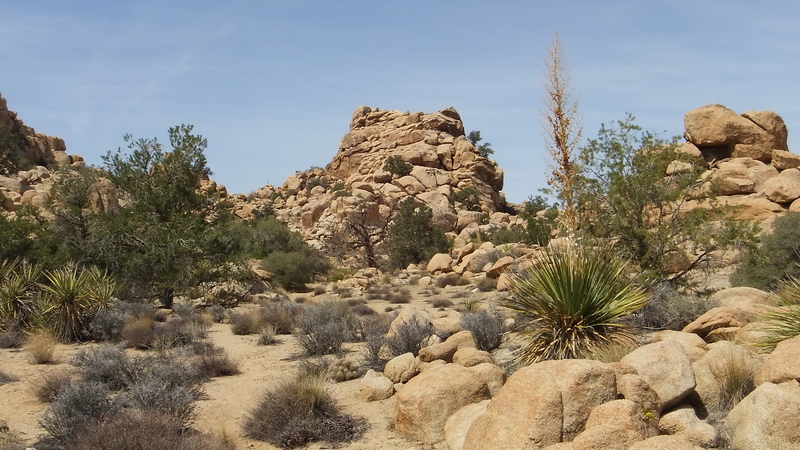 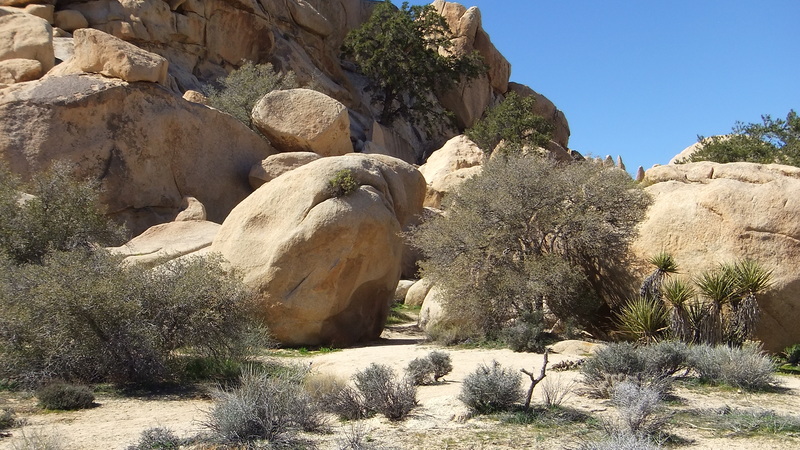 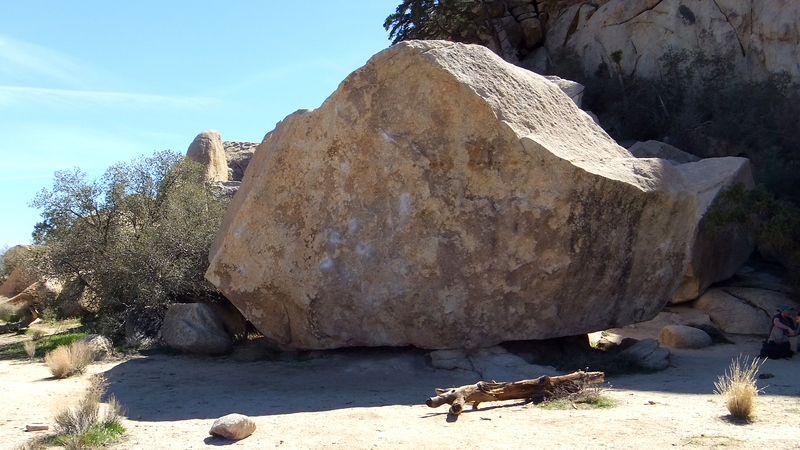 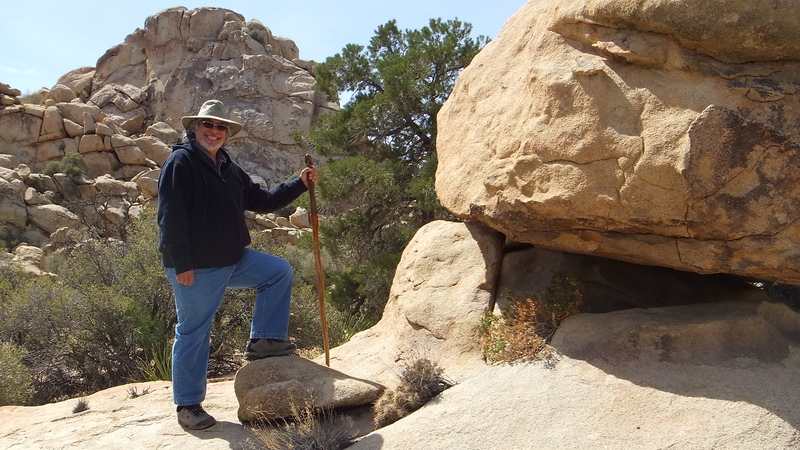 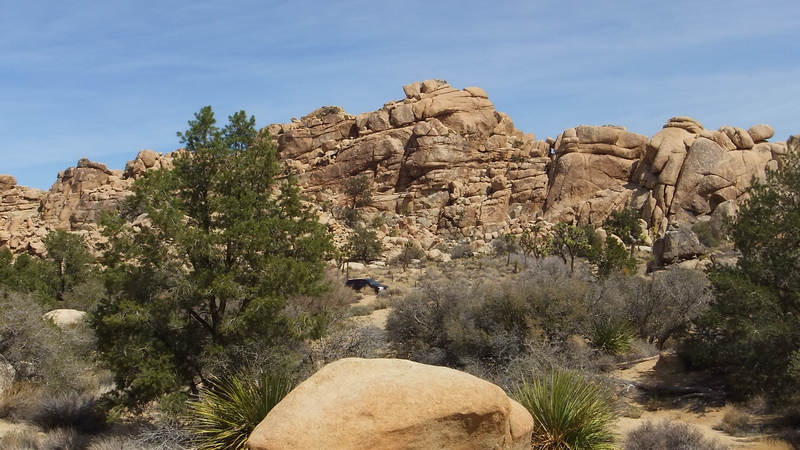 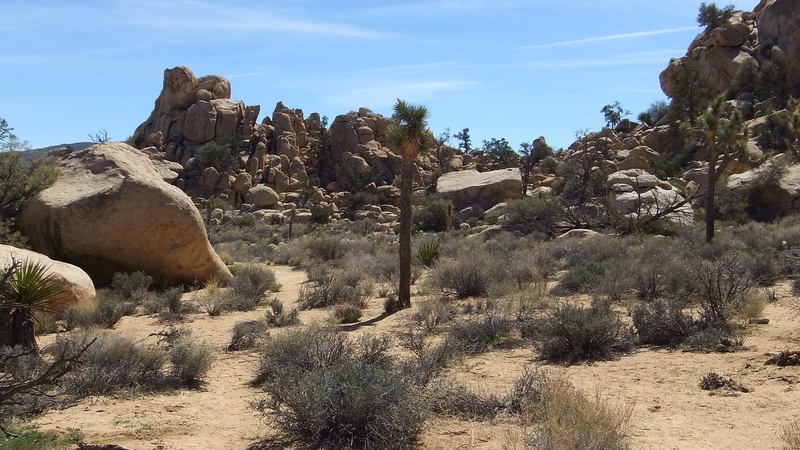 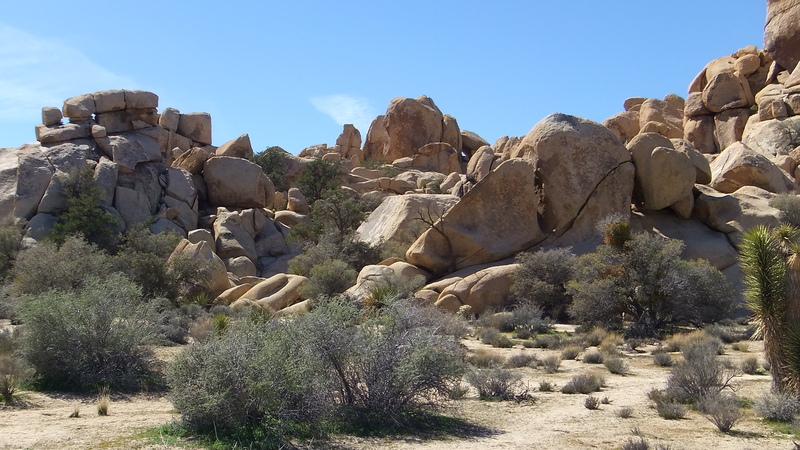 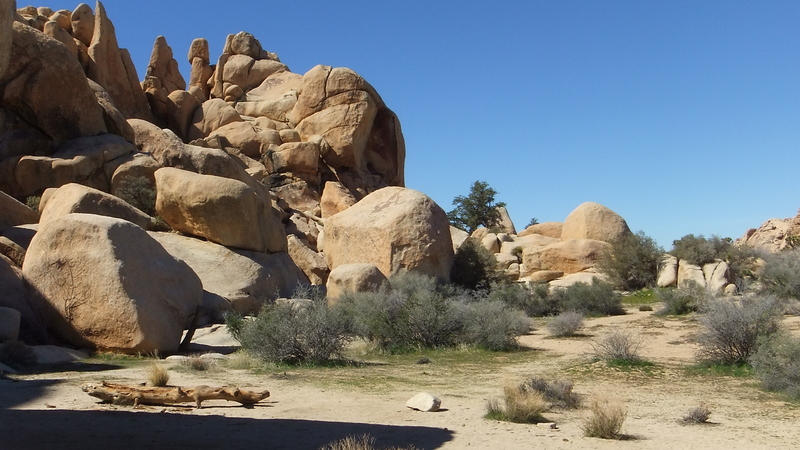 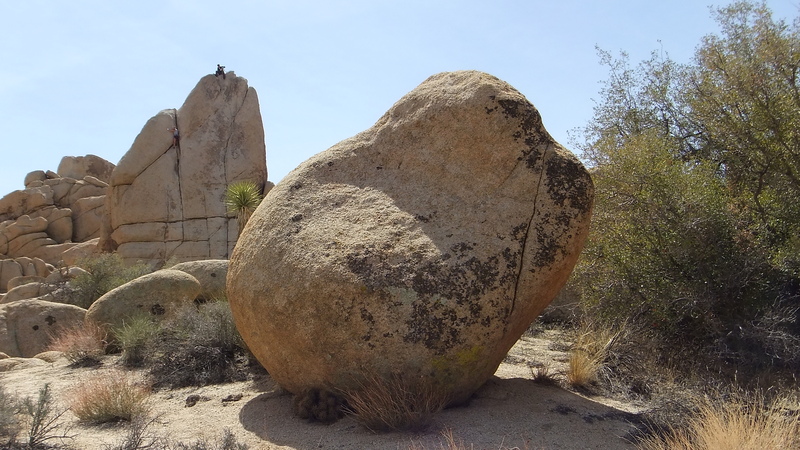 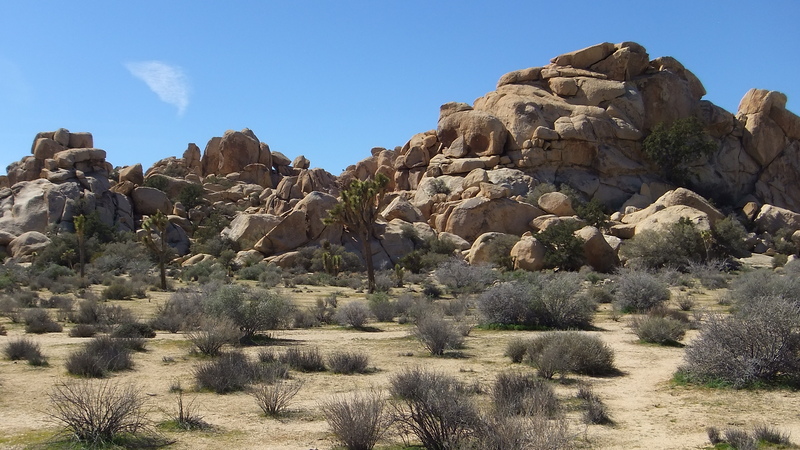 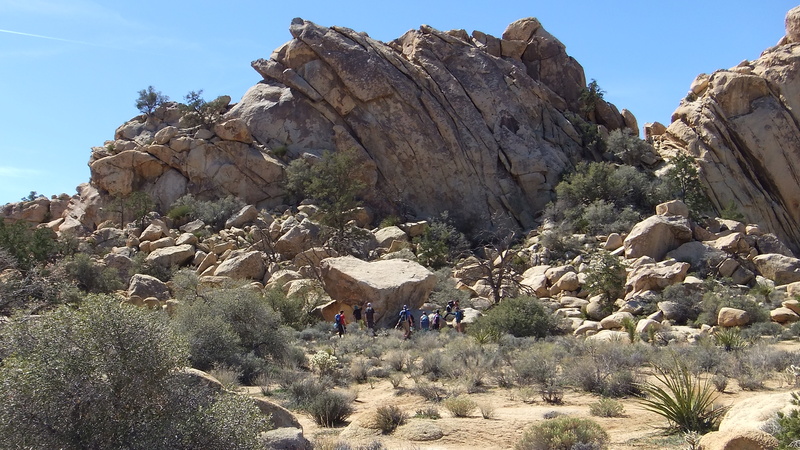 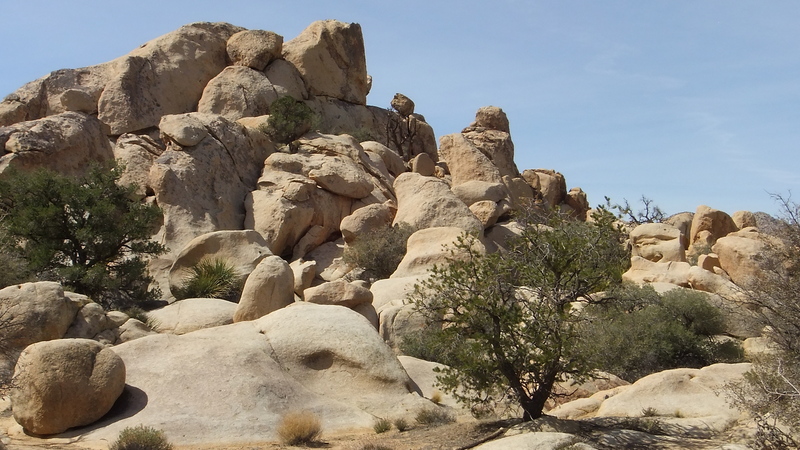 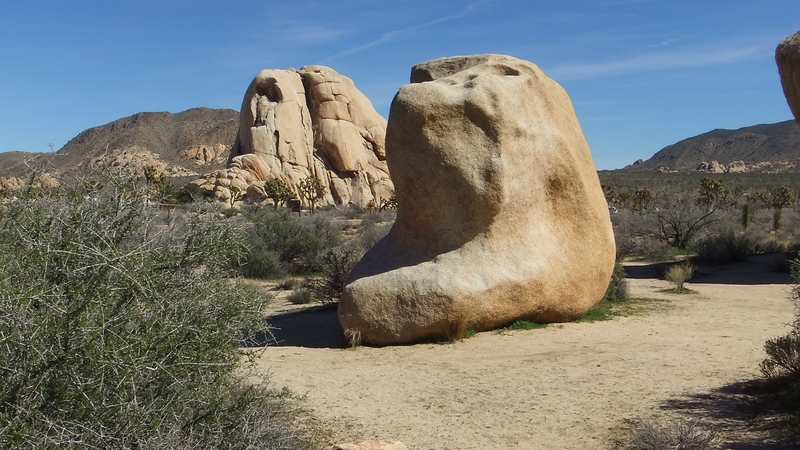 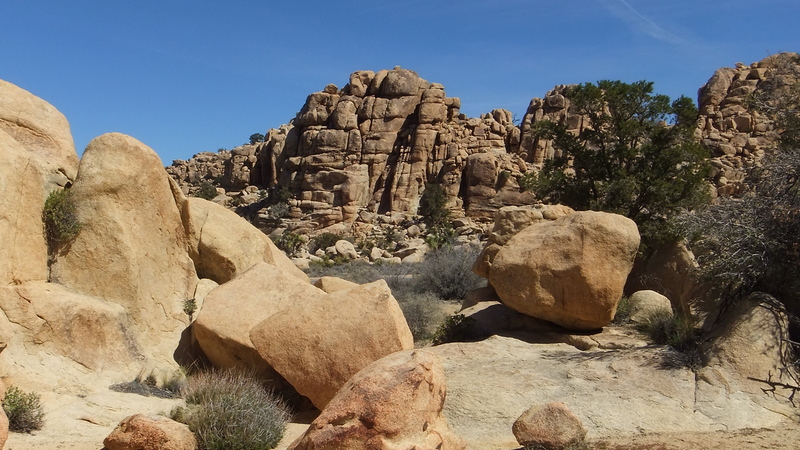 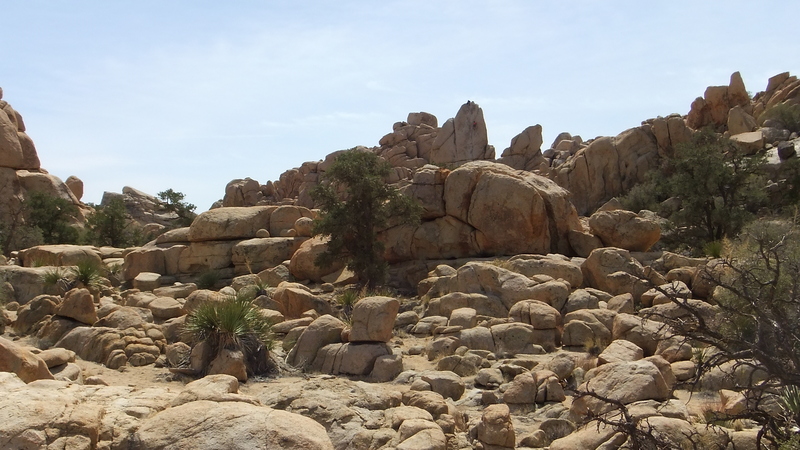 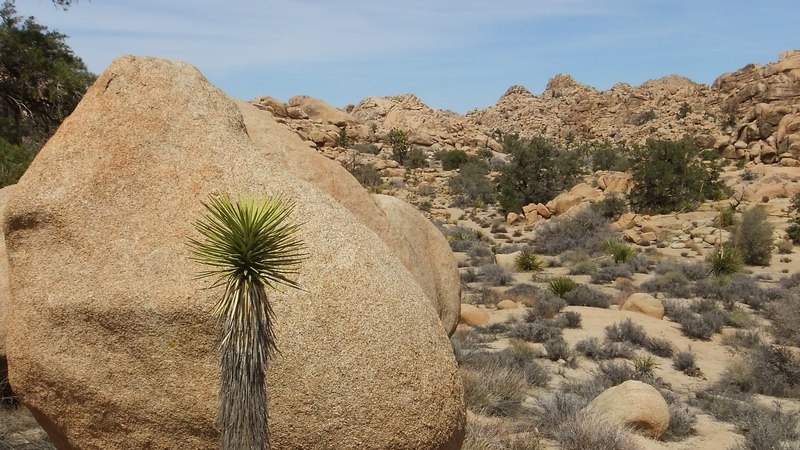 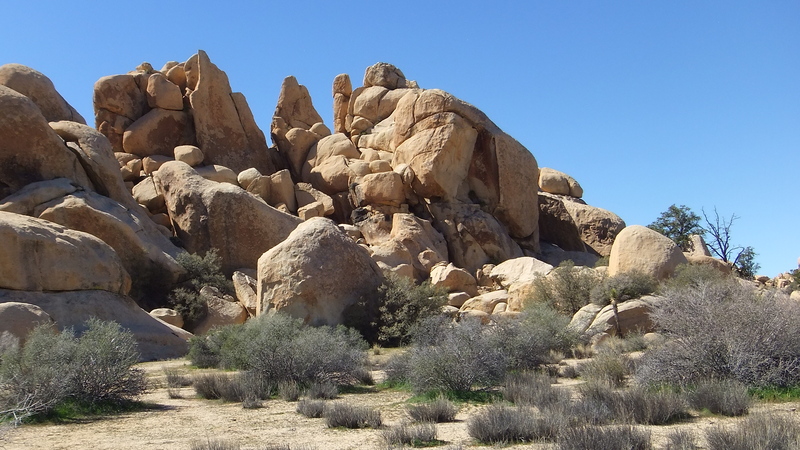 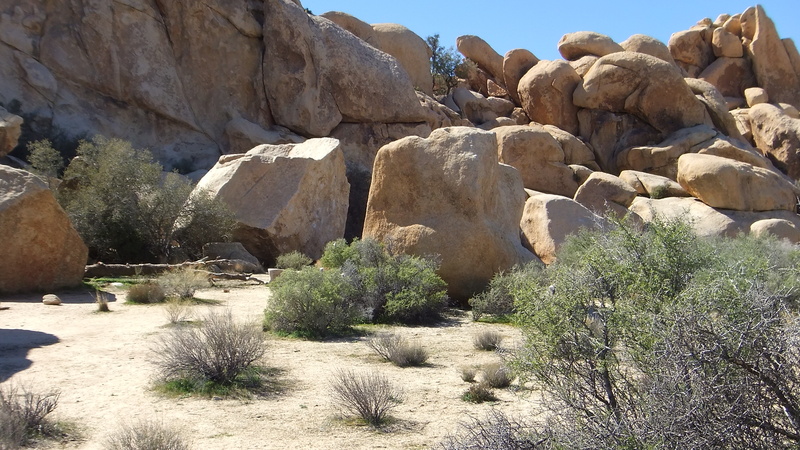 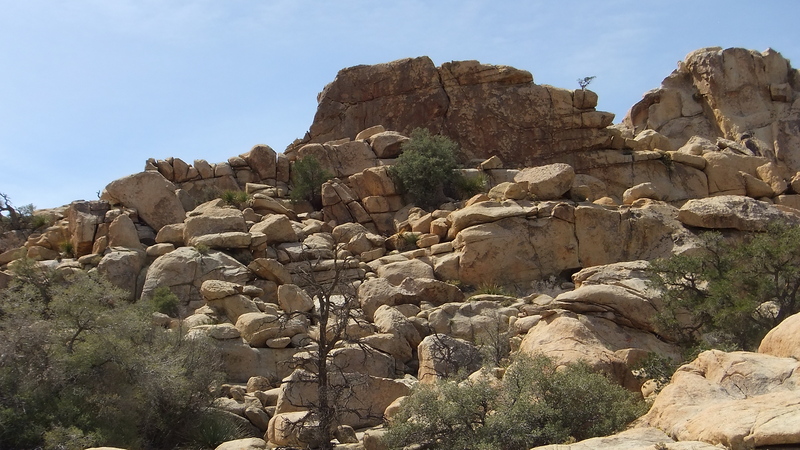 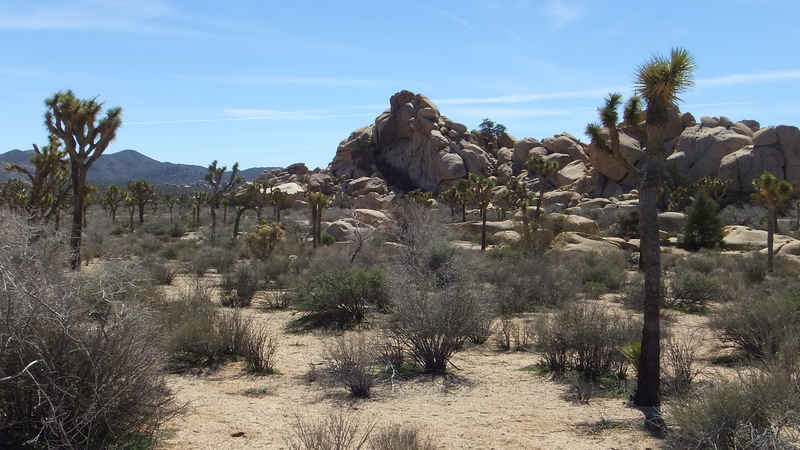 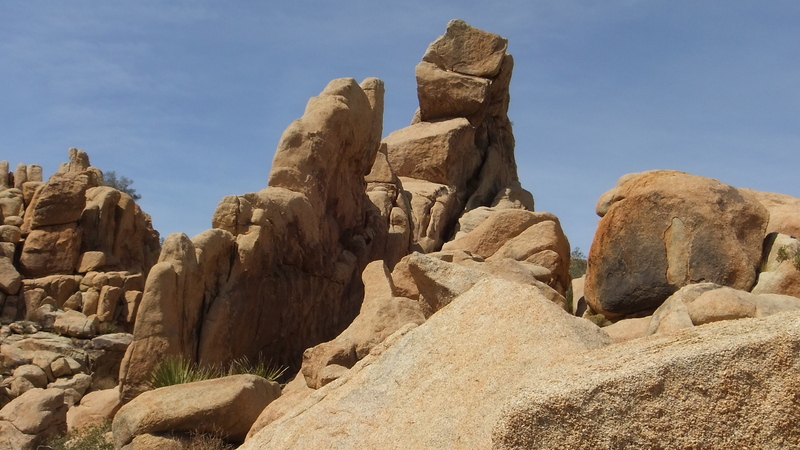 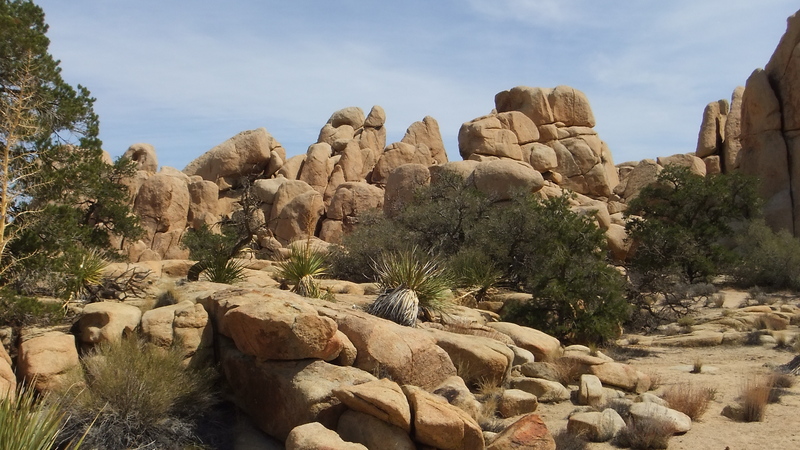 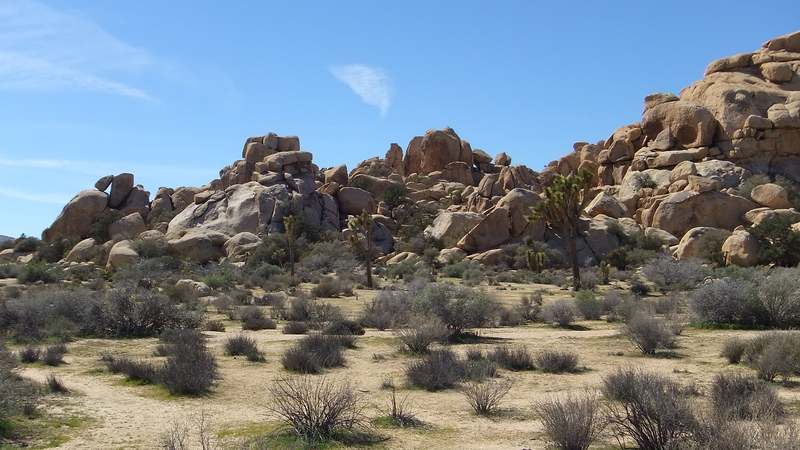 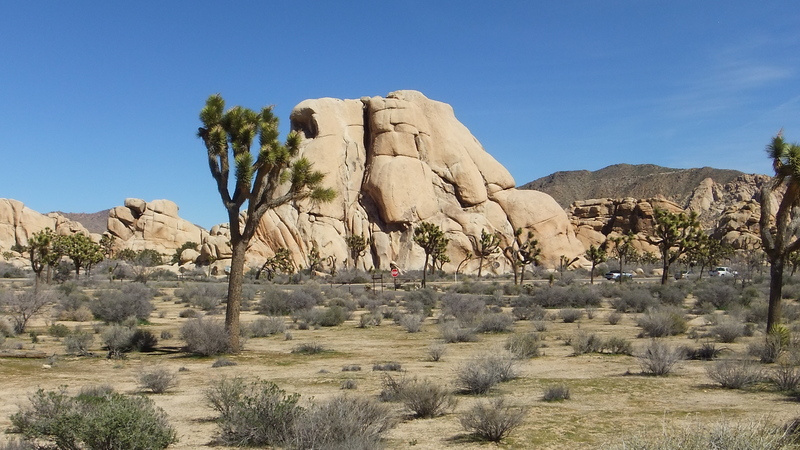 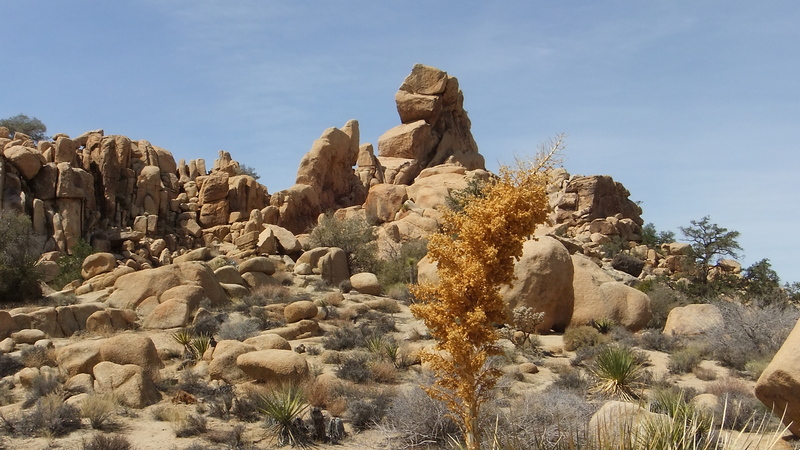 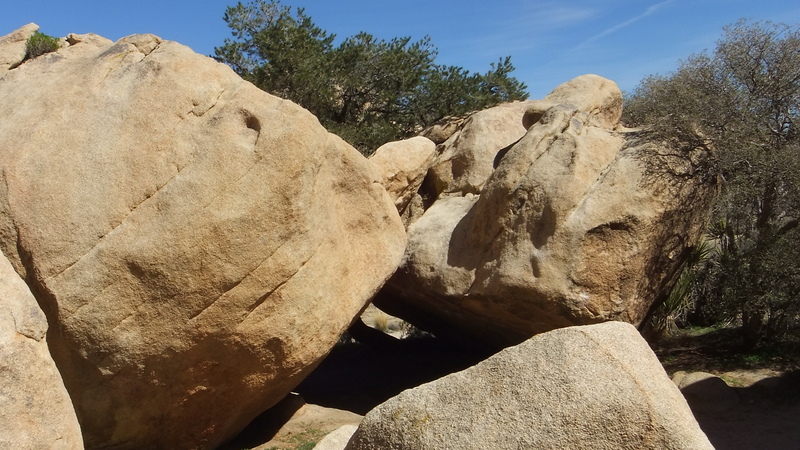 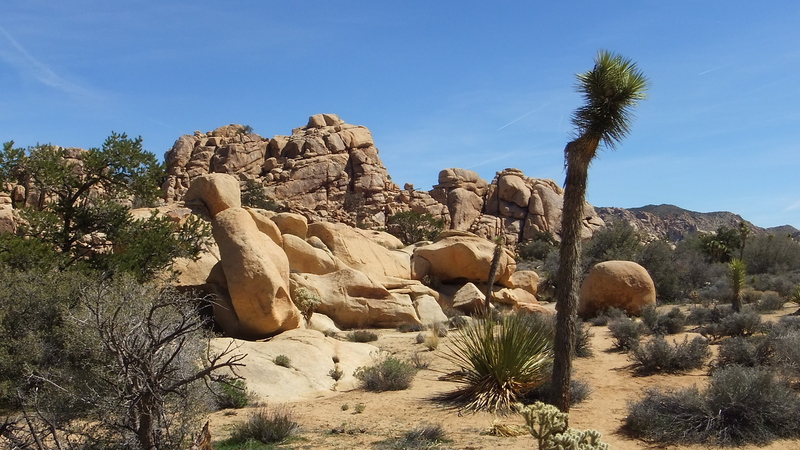 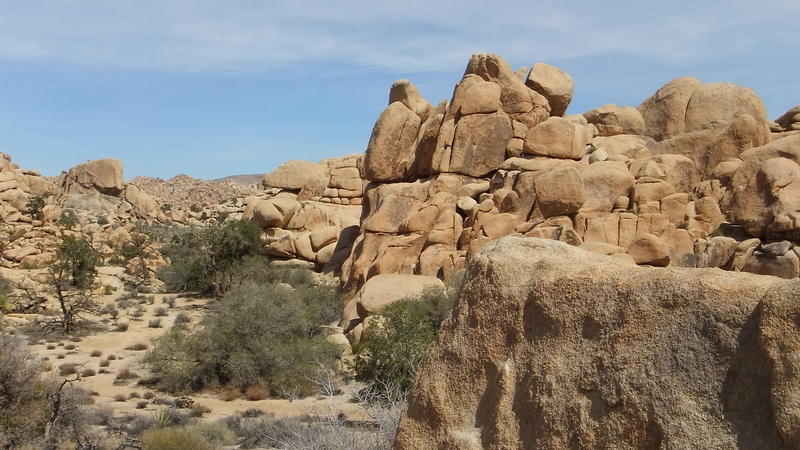 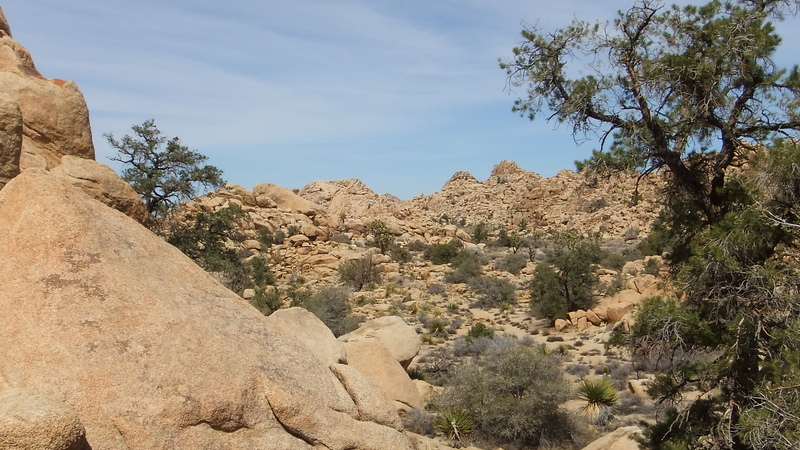 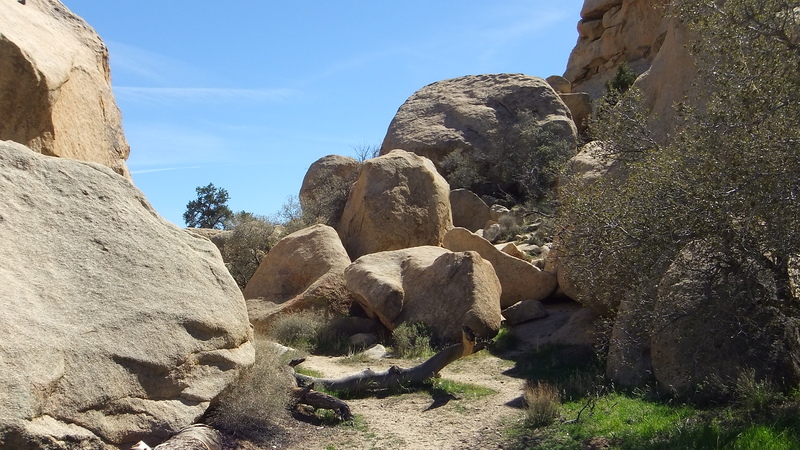 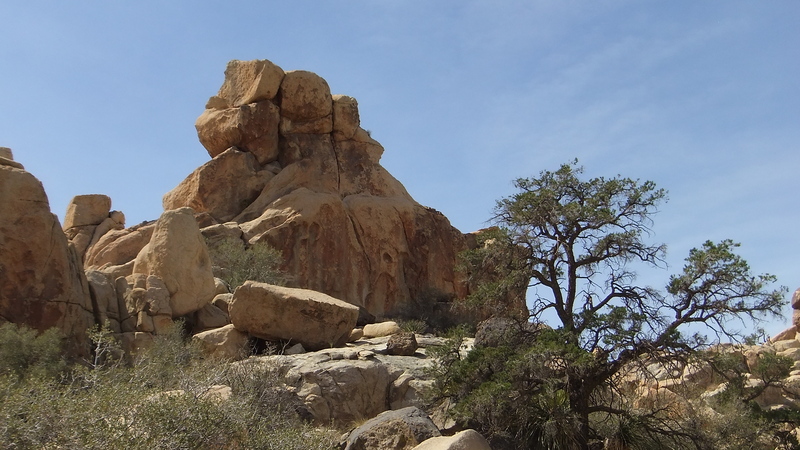 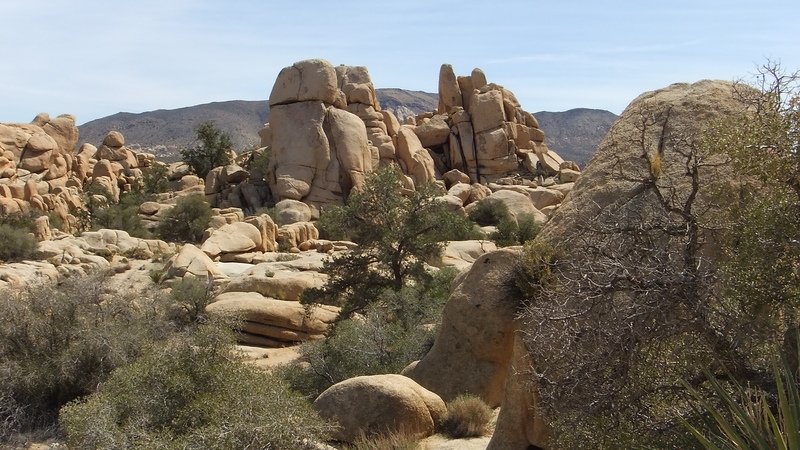 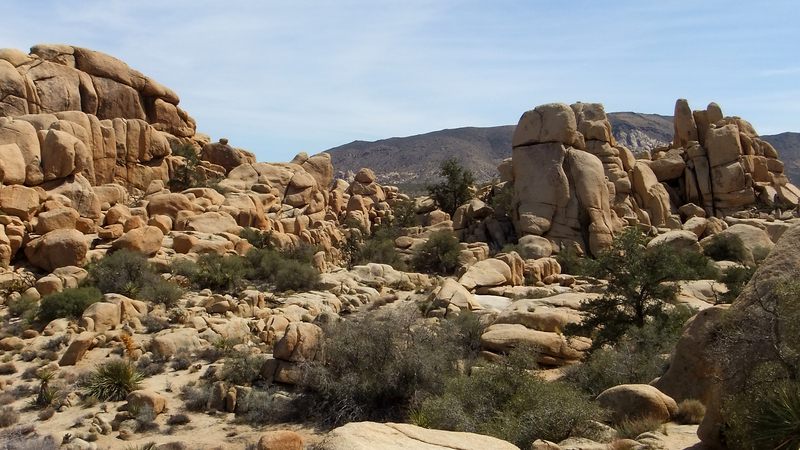 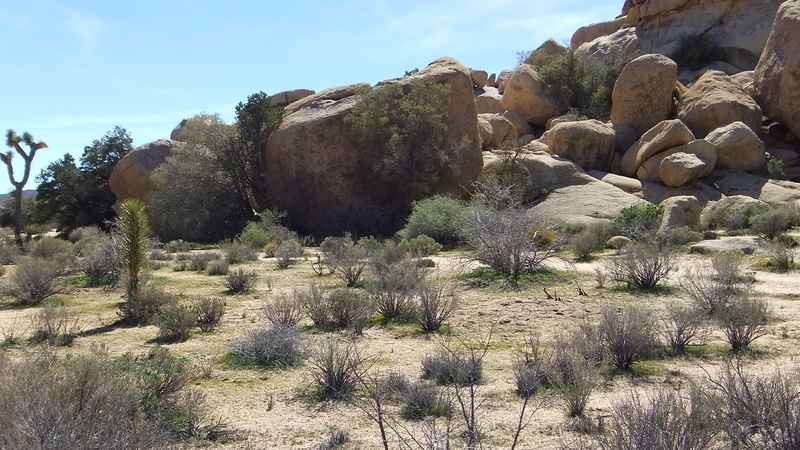 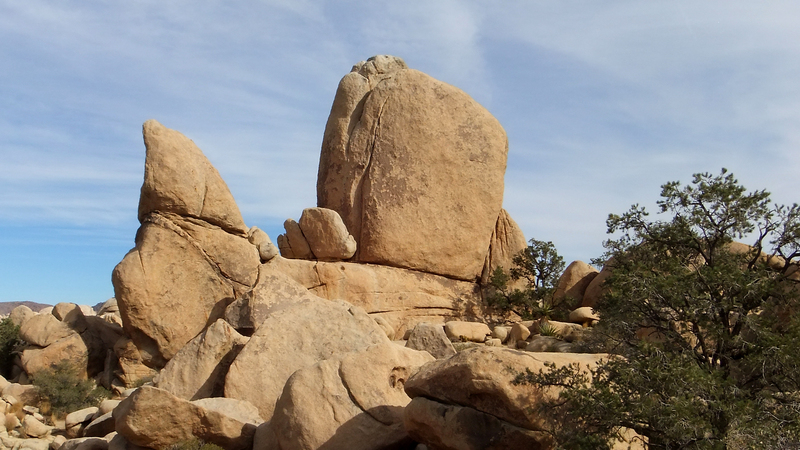 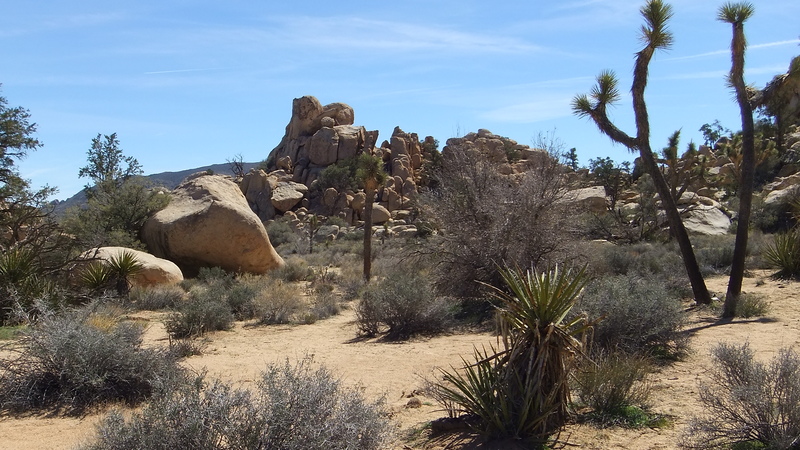 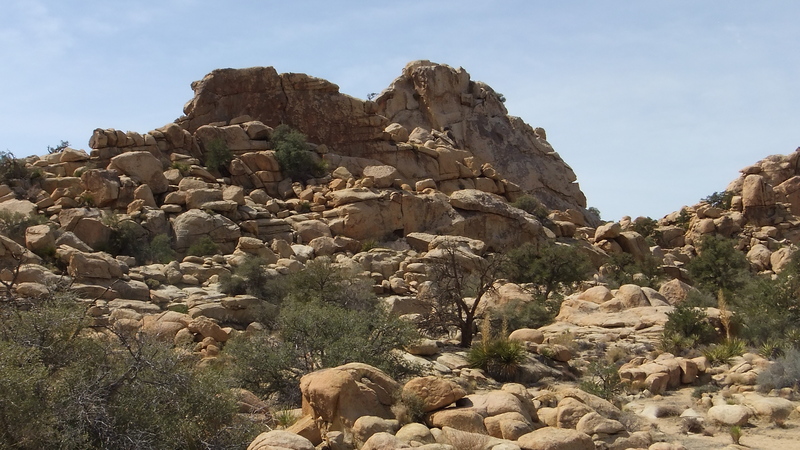 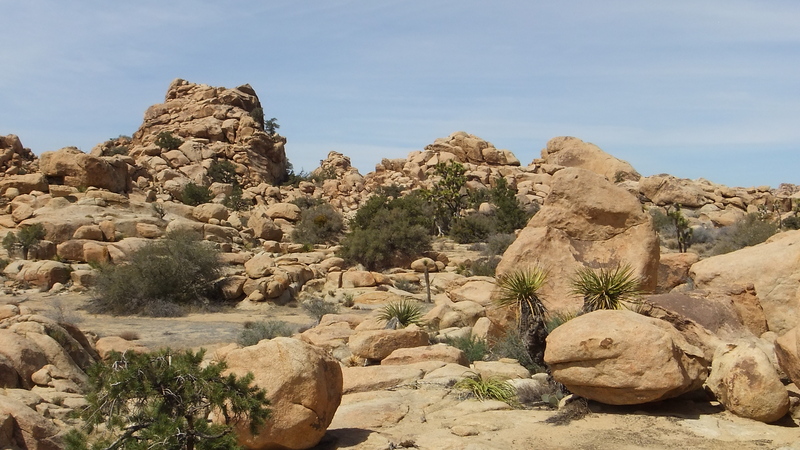 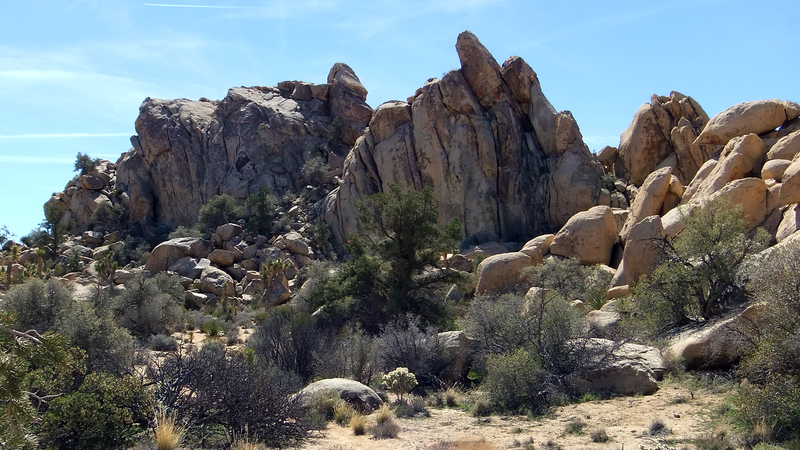 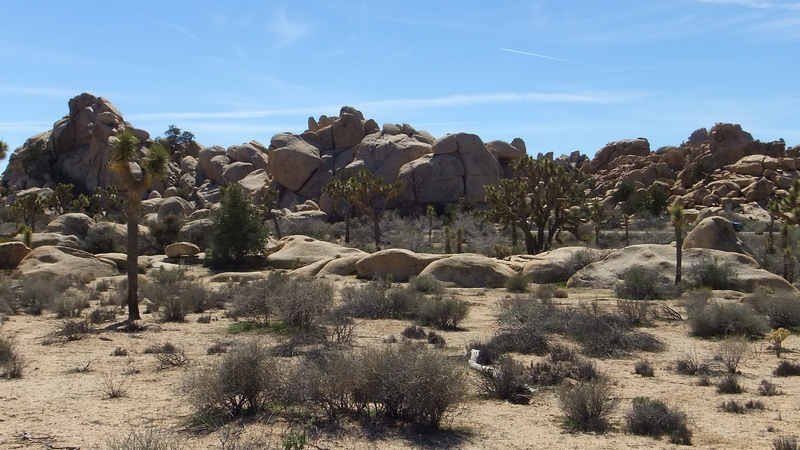 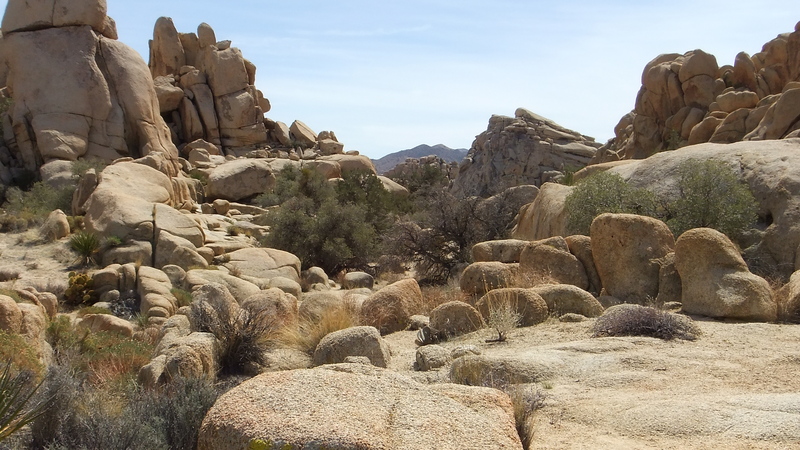 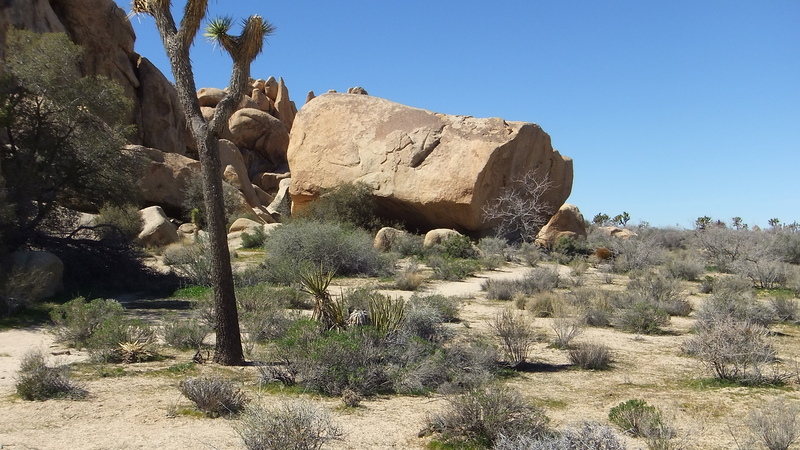 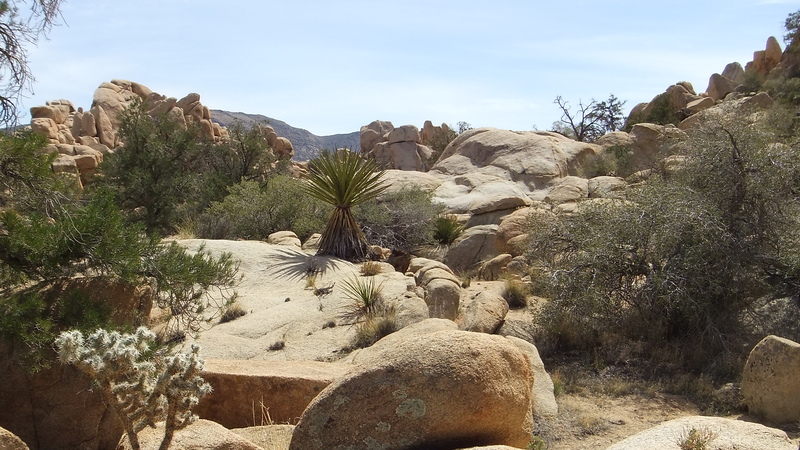 Joshua Tree National Park hosts thousands of enticing big rocks and affiliated granite walls. 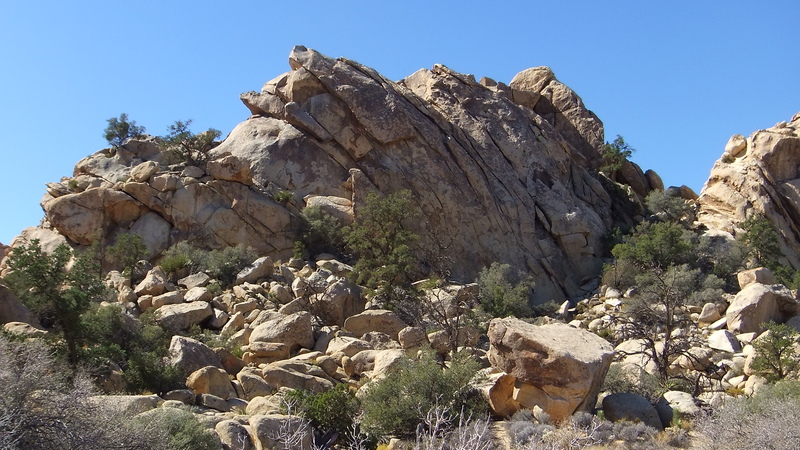 This draws legions of sport climbers. 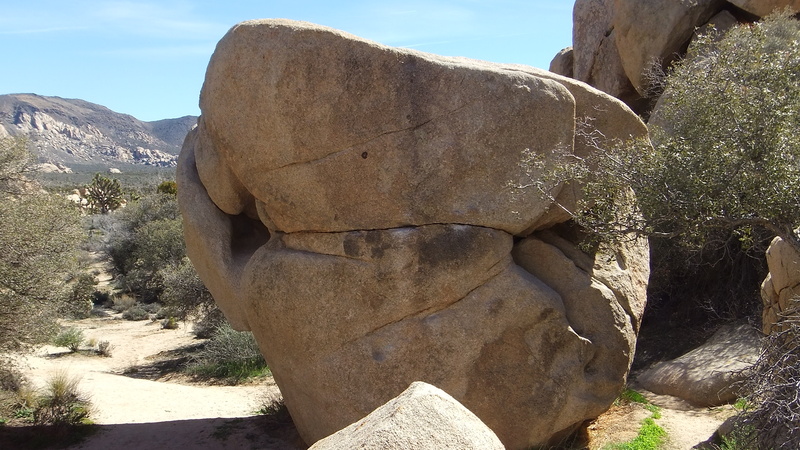 It also attracted a certain 3D photographer who sees in the wonderful relationships unusual digital camera angles among the various shapes, formations, and flora. 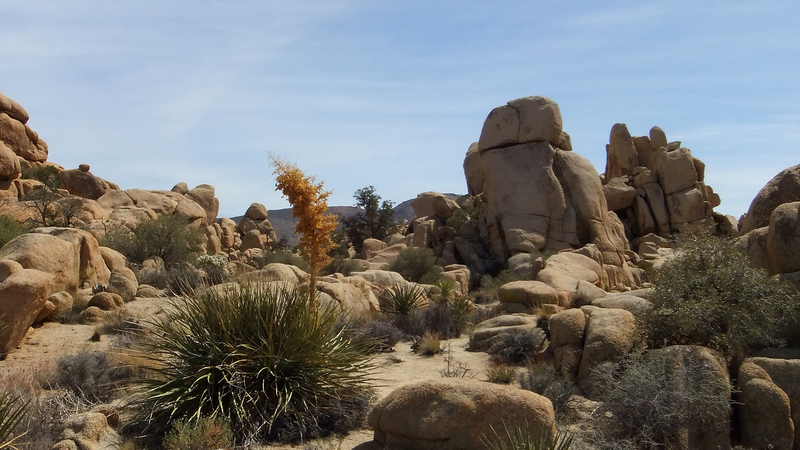 Pictures just begging to be taken. 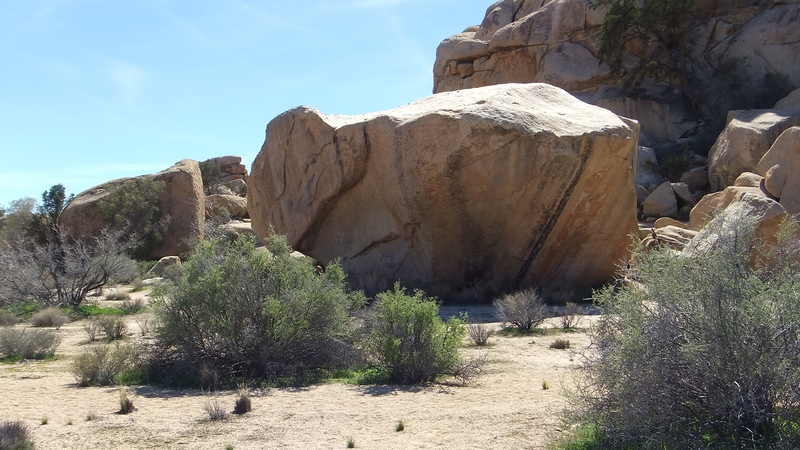 The area covered in this multi-Gallery section stretches along Hidden Valley’s outer perimeter bounded by Park Blvd. 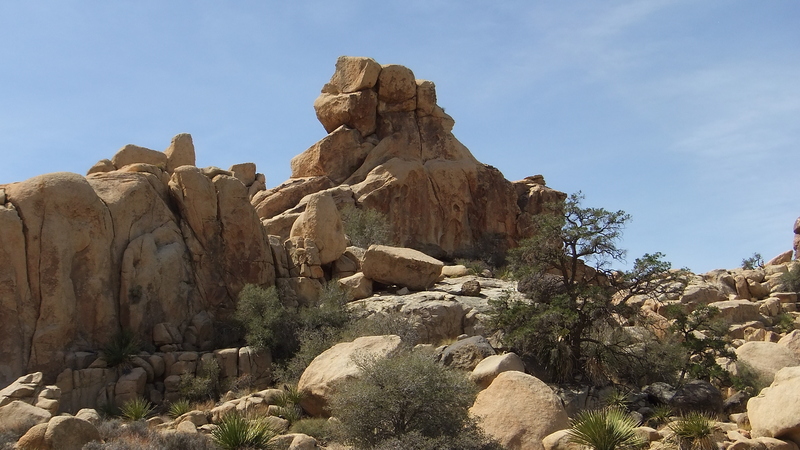 Galleries include: (1) The Foundry or JBMFP Bouldering with the boulders scattered across the base of the formation in front of Park Boulevard, (2) The Red Burrito-to-Hidden Tower interior section, and finally, (3) the aforementioned Texas Rock passageway hemmed in by four formations: Lost in the Shuffle crag, Found in the Duffle, Summit or Plummet Rock, and The Swidgeteria. 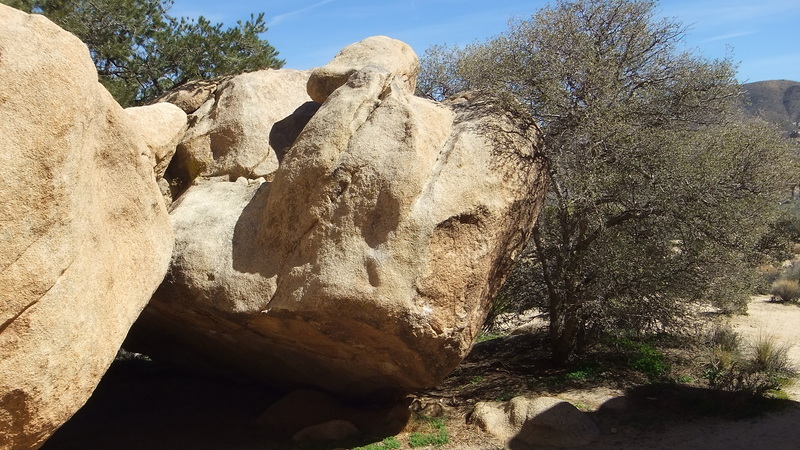 Some of the power problems Miramontes speaks of include Hollowed Corridor, Slick Willie Boulder (named after ex President William Jefferson “Slick Willie” Clinton), JBMFP Boulder, False Up 20 Boulder, Yabo Roof boulders, and Yardarm Boulder, among many others. 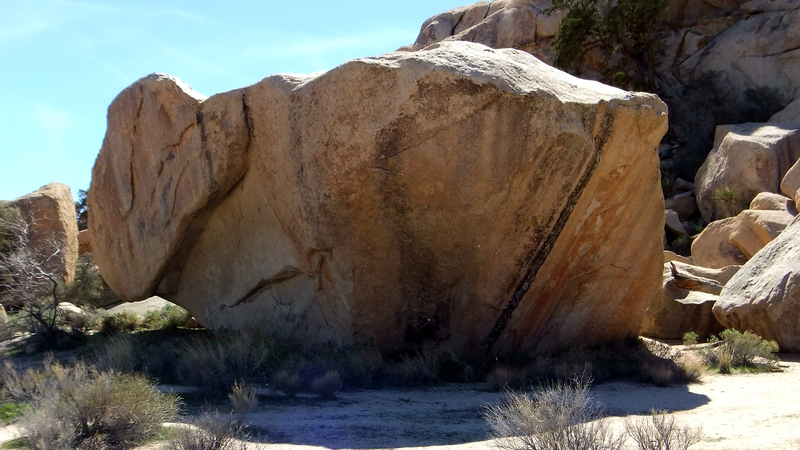 The blocky Foundry wall stretches from Hidden Valley’s loop parking lot to Slump Rock several hundred yards north. 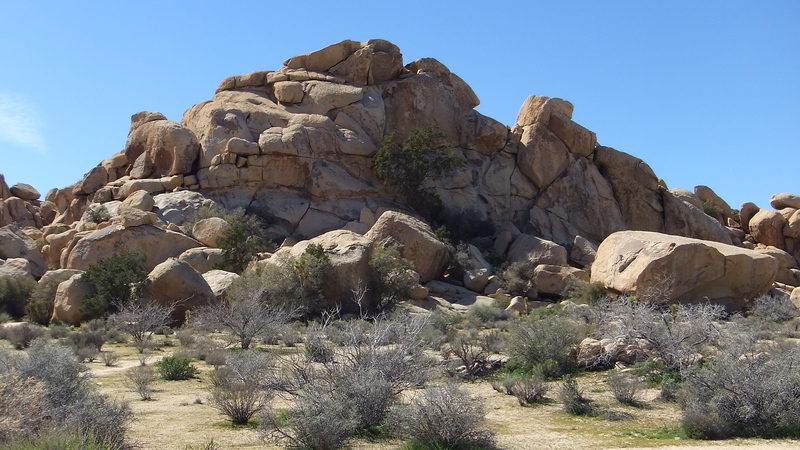 The Foundry lies west of Park Blvd. 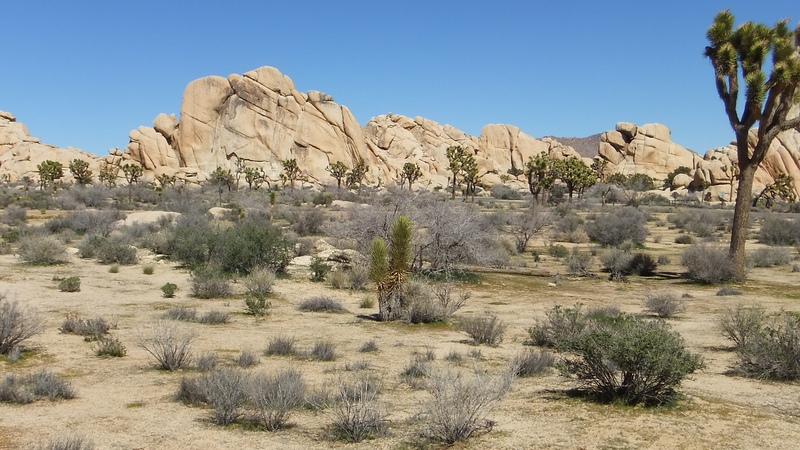 Two prominent walls are seen from the Park Boulevard turnout. 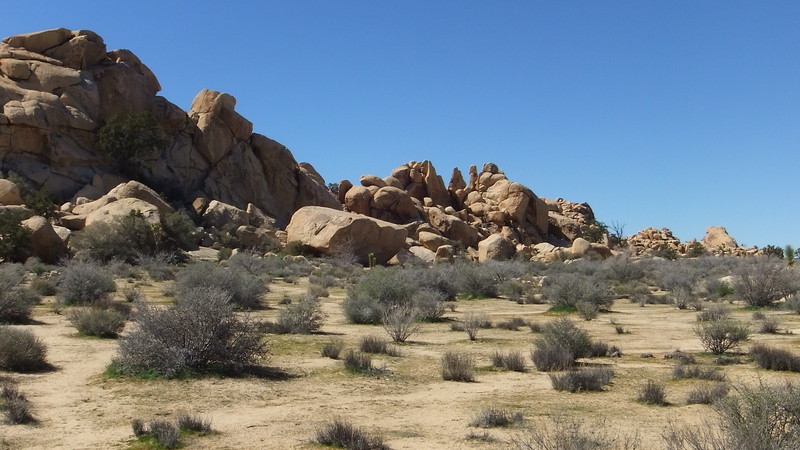 Wall Street is the taller, light granite formation on the right. 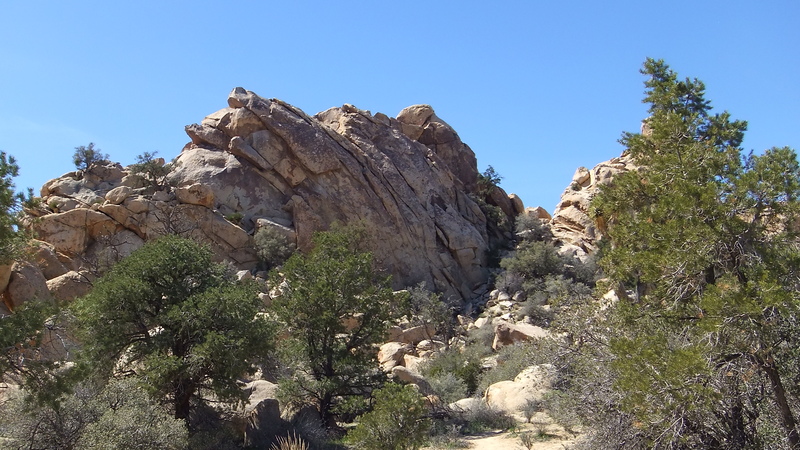 This low-angled dome is actually the back side of Elephant Dome (within Hidden Valley). 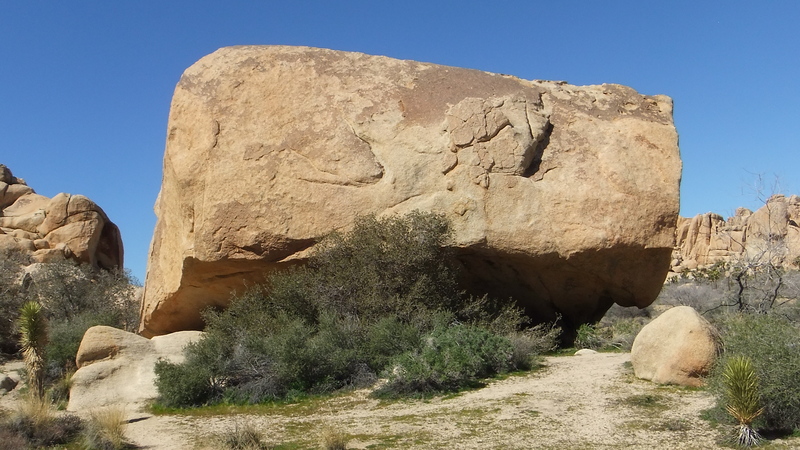 To the left and slightly in front of Wall Street is a shorter, steep brown wall known as The Red Burrito. 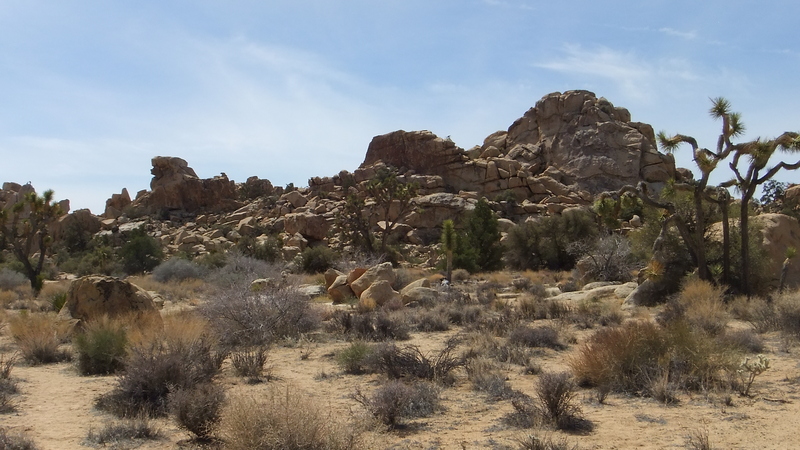 Continuing south along the well-traveled trail (left in the above photo) the next formation that will be seen is The Wailing Wall with its large summit blocks. 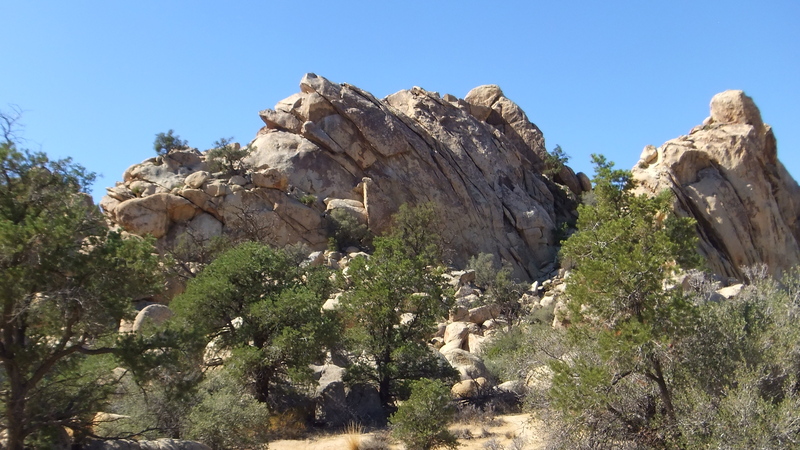 The climbing routes occupy the west face, not visible from the road. 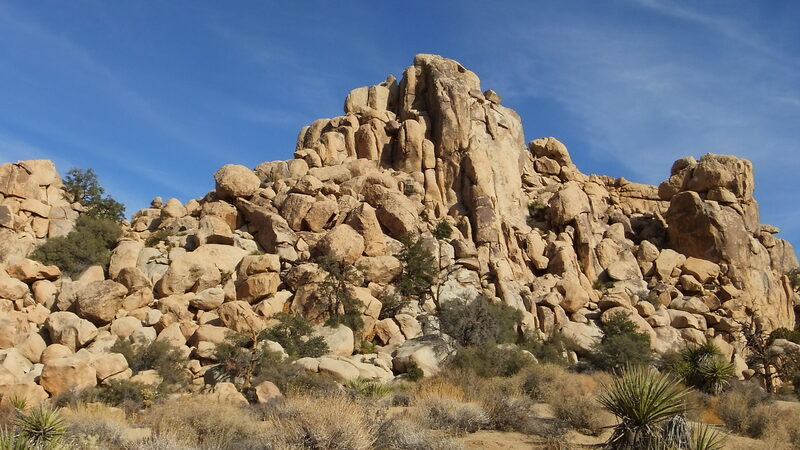 Next, approximately 65 yards south of the Wailing Wall is the famous Hidden Tower, one of the most navigated climbing formations in Hidden Valley and a popular destination from the Red Burrito area. 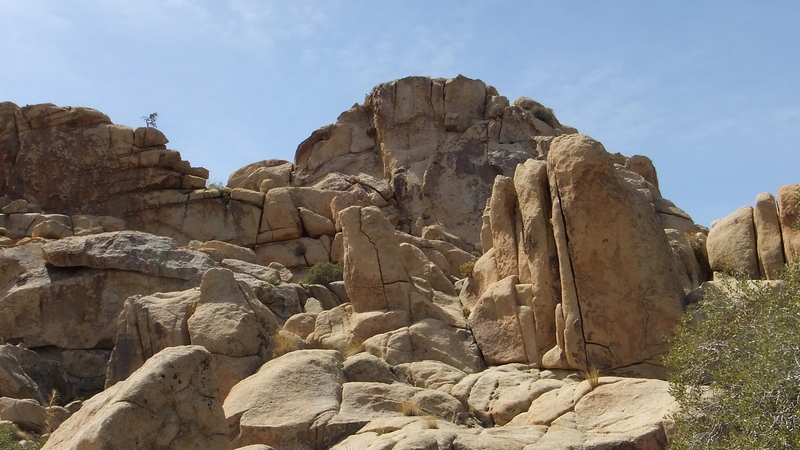 (In the above photographs you can see two climbers standing on top of the flat face route known as “Sail Away.”) This small tower is to the east of Sports Challenge Rock (in Hidden Valley). 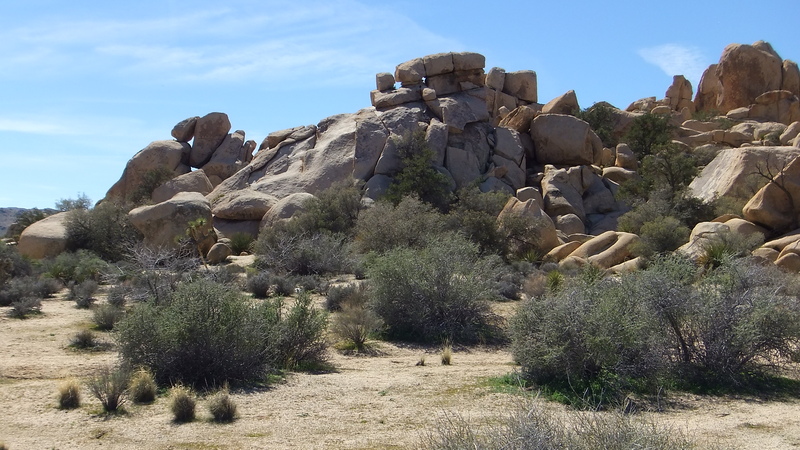 Across from The Hidden Tower rise The Sand Castle and the western face of The Foundry. 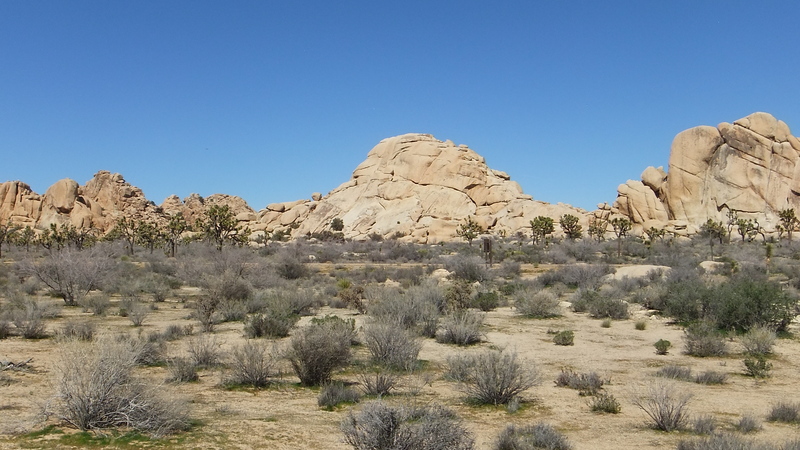 The Hidden Tower’s eastern side also can be reached from the east end of the Hidden Valley parking lot. 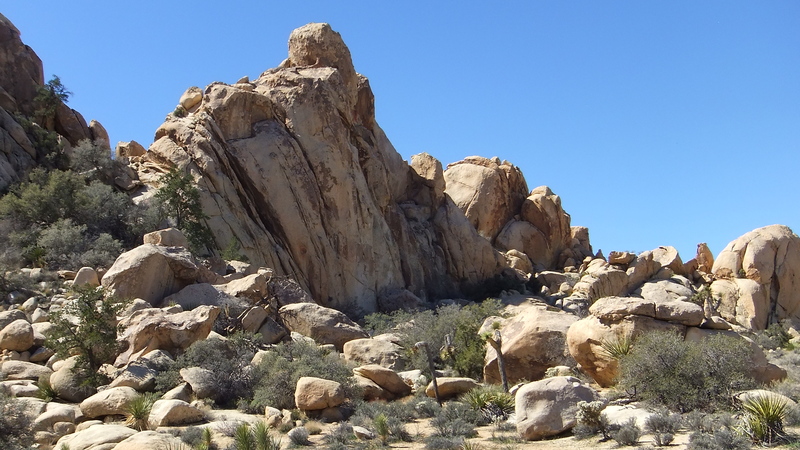 By far the easiest approach is from Park Boulevard by walking southwest from the large turnout between Texas Rock and Slump Rock (see Google Earth image at top of page). 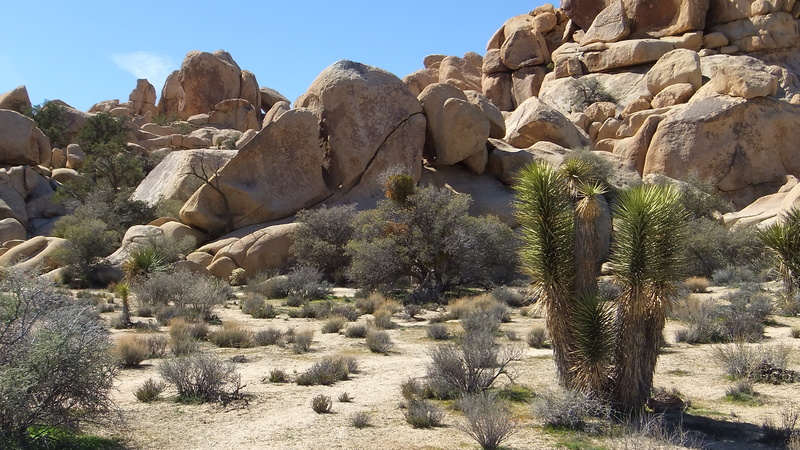 The east facing wall is shady much of the day. 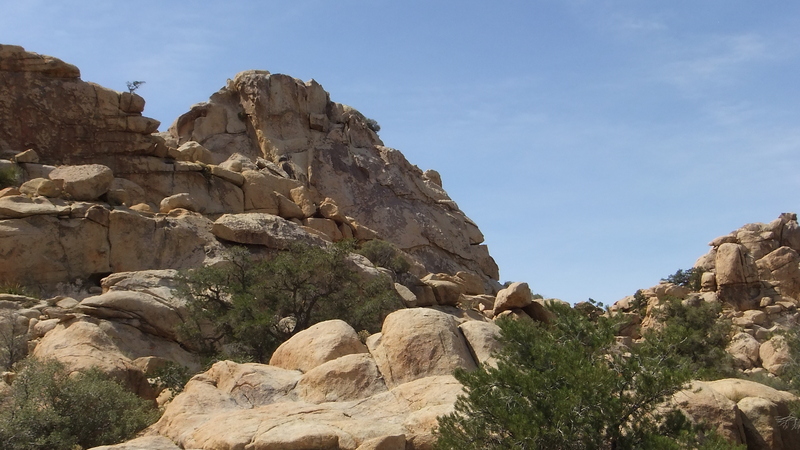 It has two popular climbs. The man shimmying up the crack on the right has chosen “Sail Away” while his partner is starting her ascent of “Wild Wind.” Other routes are “Split” and “Splotch” (around the left end). 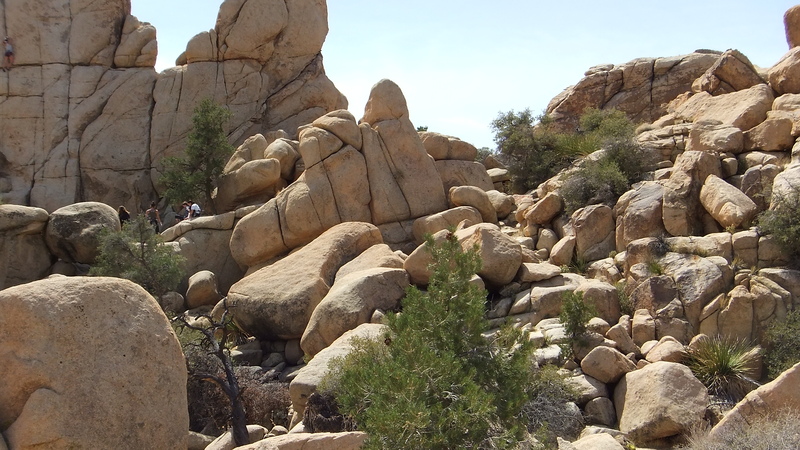 Notice there are four others awaiting their turns on this popular tower (second photo below). 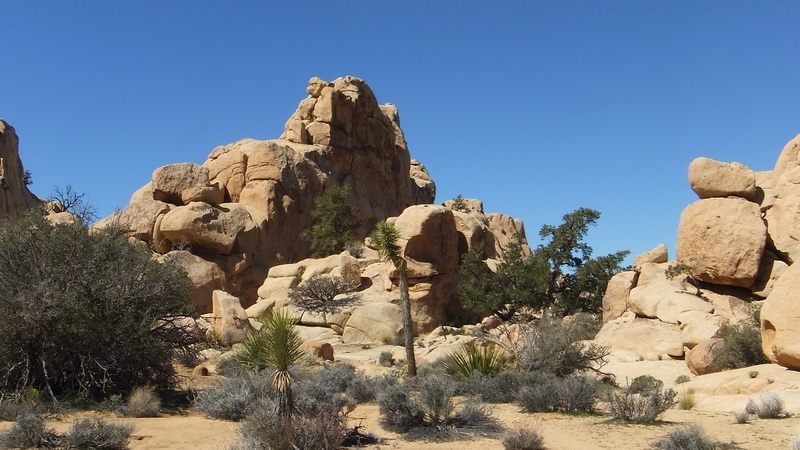 To the left of The Sand Castle can be seen The Foundry’s tiered western face. 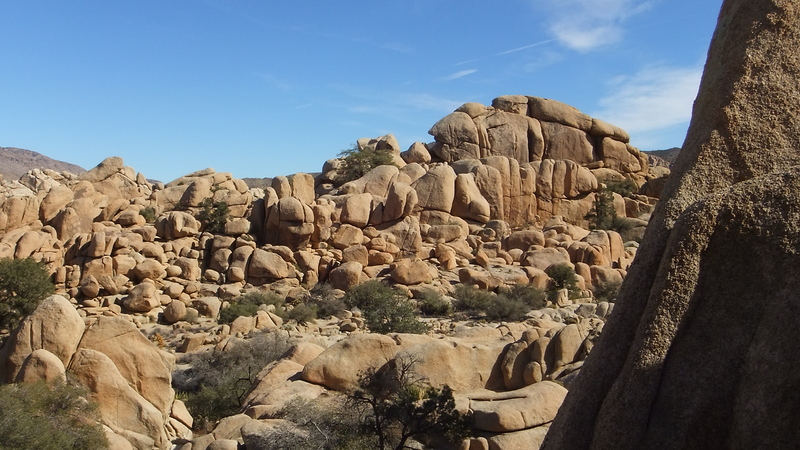 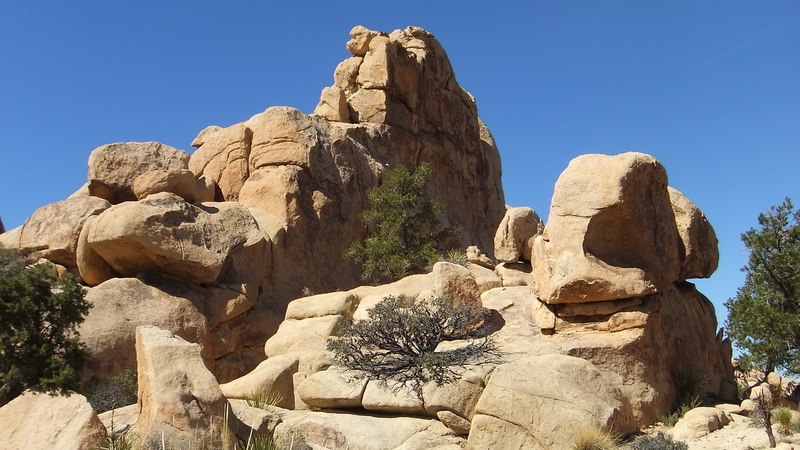 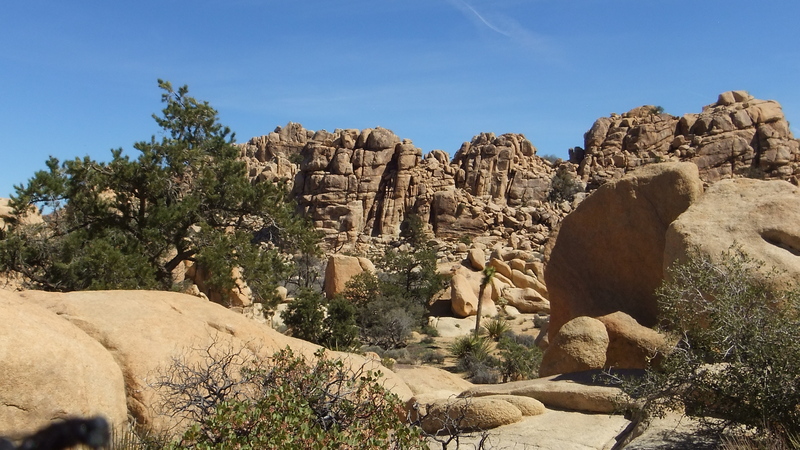 This scenic little cove has a mix of large granite walls, several popular “boulder problems” for those who enjoy the challenge of testing their mettle against boulders, numerous small piñon pines offering shade in warm weather—and a whole host of jumbled rocks plus panoramic gaps between the formations. 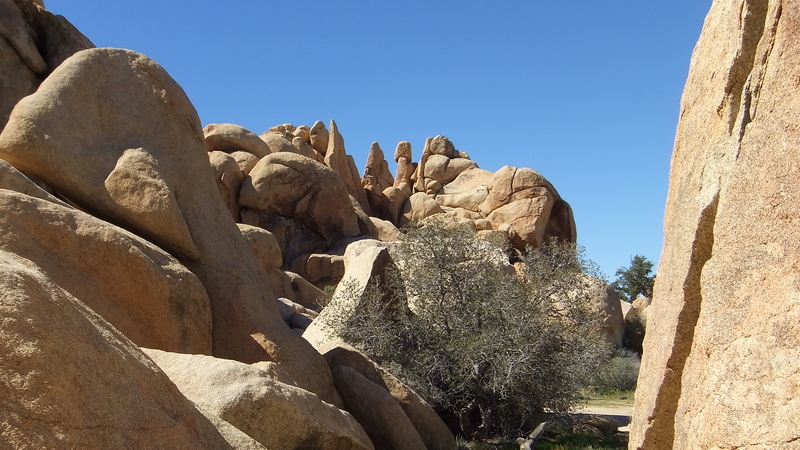 Best of all it is only 200 to 300 yards from the large Park Boulevard turnout (for easy access). 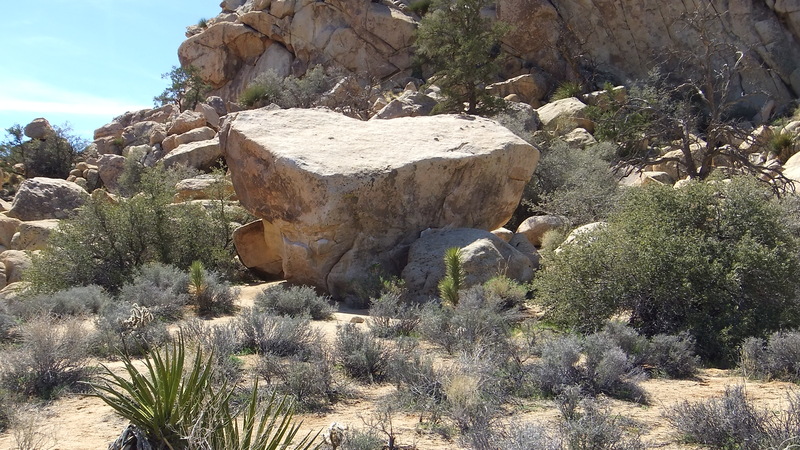 Texas Rock is the largest boulder in the group. 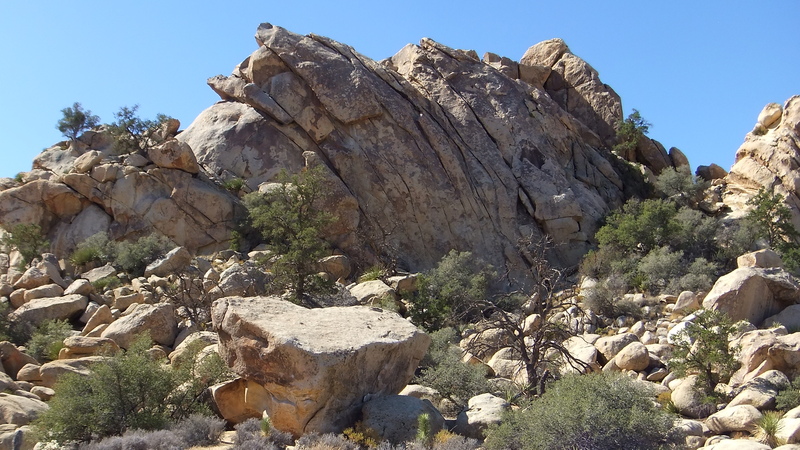 It is located at the base of Lost in the Shuffle Crag, the first of two prominent crags or walls (the other being Found in the Duffle). 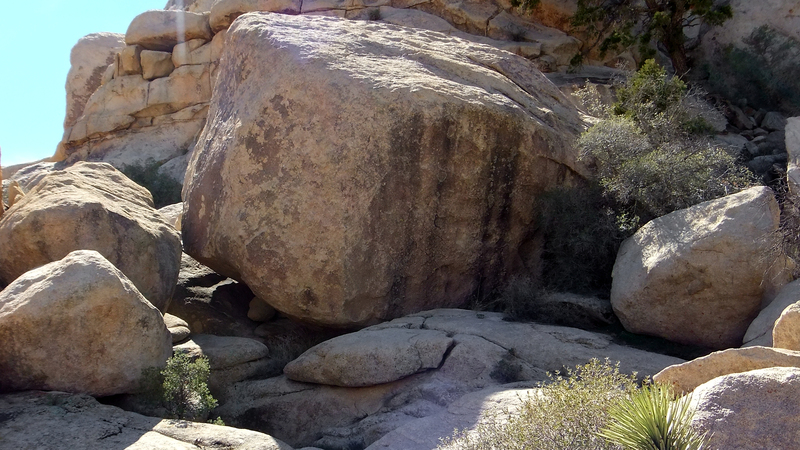 There is a well-beaten path to it from the road. 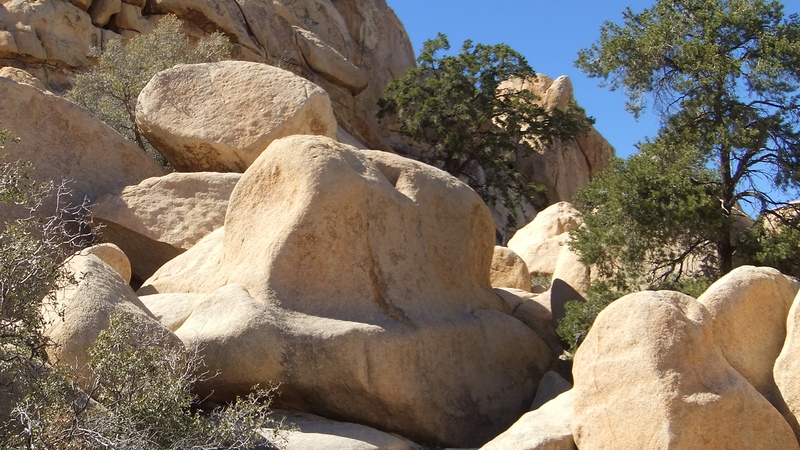 The path snakes past two smaller rocks first—Chunkers Boulder and Trance Stone—before you reach the base of Shuffle and Texas Rock. 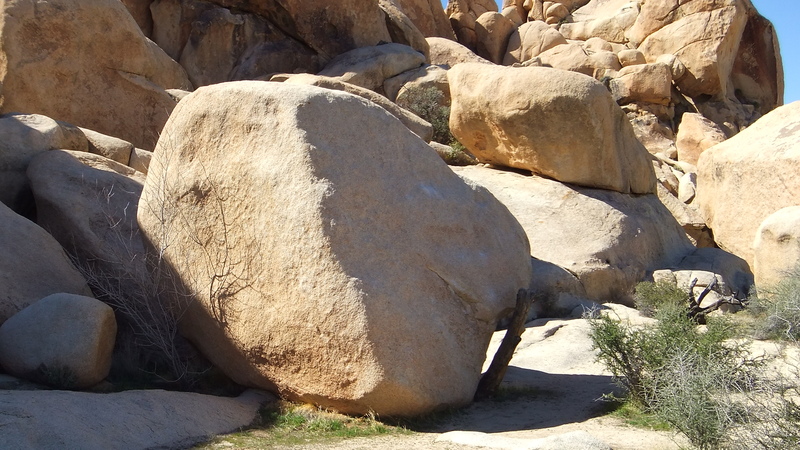 The area contains two other walls in addition to those already mentioned: The Swidgeteria and Summit or Plummet Rock. 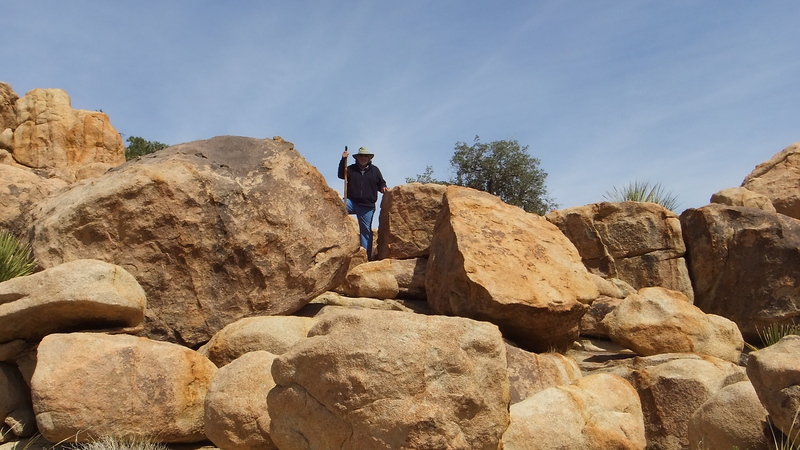 Thank you for visiting the The Foundry Galleries along with those comprising the Red Burrito Group and the Texas Rock Area at Joshua Tree 3D.